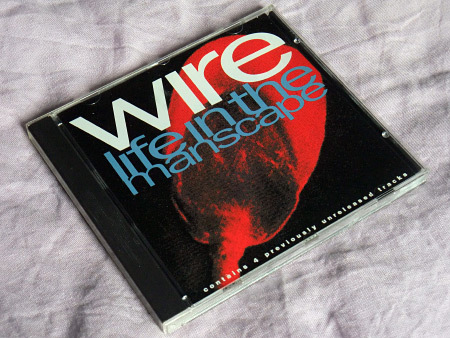 ‘Life In The Manscape’ itself was the kick-off track if you had ventured down the CD or cassette path of the ‘Manscape’ album. It was nowhere to be found on the vinyl LP. It is a lively number, more’s the pity it was neglected from all formats. The first track on this CD single purports to be the ‘Album Version’, but in fact it is not. Instead, it is the same remix as labelled as the ‘Radio Mix’ on the 12” promo single (Enigma/Mute EPRO-311) of this release. It is not radically different from the LP mix, the differences are subtle – there is some variation to the vocal that can be heard from about the 3’20” mark onwards – the album mix is almost over by this point – then a repeat to fade for the remainder of the sing’s duration – a good 20 secs + plus longer then. 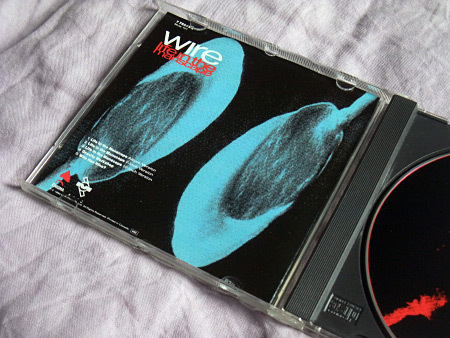 There are two further mix variations to be found on this CD. First up is the ‘7-inch Version’ – you get the idea from the title of the intent, I suppose, though there never was a 7” single release. It is actually longer than either the album or Radio Mix, funnily enough. It sticks to the blueprint of the album mix too by and large but each chorus adds new vocal and lyric variation, so in the end it is quite noticeably different, not to mention a near half minute longer than the album mix – oh, and there is no fade-out, it comes to a dead halt. Things go well awry on the ‘12-inch Version’, where gimmicky remix trickery grabs hold firmly by the lapels and doesn’t let go until suitably pointless havoc has been wreaked on the song’s fabric. It hasn’t dated well, this mix, starting off with some almost hesitant sequencer synth work before the familiar musical pattern of the songs barges in on proceedings. A variety of contemporary samples (referencing South Africa in particular) are grafted atop, with no Wire vocals appearing until just before the four minute mark – and even from then on they are obscured by effects and well buried in the mix. It would be hard to recommend this mix as being a satisfying listen, I feel. The CD is completed with two other tracks that never appeared anywhere else other than the Japanese 2xCD edition of the album initially, later appearing on the ‘Coatings’ compilation CD on the inspirational WMO label, while it was still a going concern. ‘Gravity Workshop’ (actually, it should be titled correctly as ‘Gravity Worship’) works better of the two for me. Graham Lewis is the sole vocalist on this piece and it’s a fair point to make that he sounds like some MIDI-enabled preacher plugged into the mains, as he spouts atop a fairly angular musical workout beneath. Panned dead centre you can hear the kind of arpeggiated notes that were quite the hallmark of the A Bell Is A Cup…/IBTABA work, rendered more sweetly here amidst the remainder of the noise. You could imagine that there may have been decisions to be reached in choosing between ‘What Do You See?’ and this track for the album, both have similar vocal intensity on display. ‘Who Has Nine’ I personally favour less. Sonically, it starts off quite Mute of the era – you could imagine it on a Depeche Mode release of the time. Again, it is Graham Lewis on lead vocal, but the song lacks the same manic performance of the previous track and never really travels far enough, outstaying it’s welcome a good bit. Recommended then for the ‘7 inch Version’ in particular and ‘Gravity Worship’. But what do you think? This entry was posted on Tuesday, September 25th, 2018 at 8:24 pm	and is filed under Region crazy, Versions, versions. You can follow any responses to this entry through the RSS 2.0 feed. You can skip to the end and leave a response. Pinging is currently not allowed. 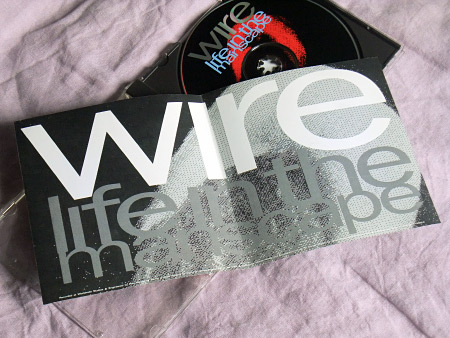 I believe that I bought this on release since I always bought Wire US CD singles from the time of their reformation. Wait – a fib. I never saw the “Kidney Bingos” single. 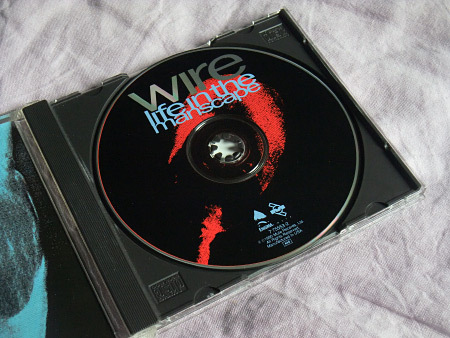 I also sold it off in the Great CD Purge of 1996, along with the “Silk Skin Paws” US CD-3. But I kept “Eardrum Buzz” on the CD-3 format since it was the clear winner here. I still have the “Manscape” album and never found serious fault with it. But don’t listen to me. I even liked the “Wir” album! Thank you as ever for the comment, Monk. 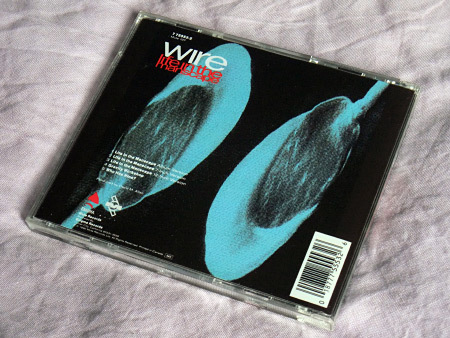 The Wir album has its moments – the track from the ‘So and Slow it Grows single, ‘Nice from here’ is a good one and it is a shame it was missed off the CD.